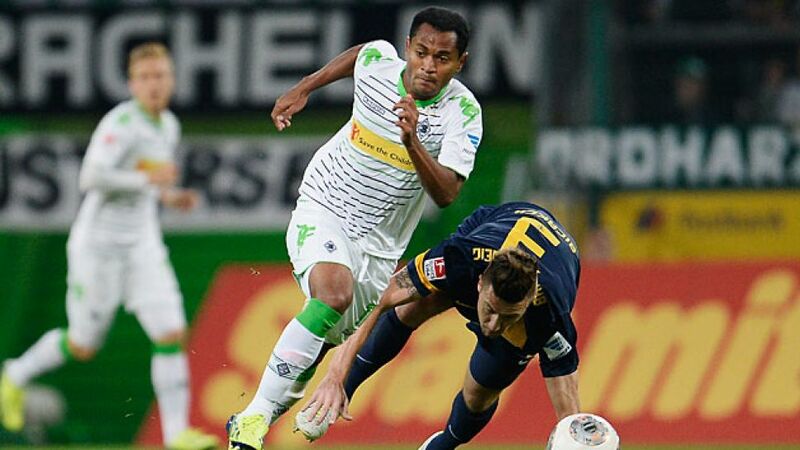 Raffael: "Now we want to win away"
Mönchengladbach - Borussia Mönchengladbach kept their 100 per cent home record intact with a comfortable 4-1 win over bottom club Eintracht Braunschweig on Friday evening. Raffael: We really wanted to win the game. We didn’t play particularly well today, but still managed to get the three points and now we want to win away from home. We will do everything we can to win in Augsburg, but there are no easy games. Max Kruse: The most important thing for me is that we managed to maintain our winning home record. We shouldn’t have relinquished control of the game after half-time. With all due respect to Braunschweig, we simply can’t let that happen. We shouldn’t be complaining too much though - we did win 4-1 after all. But we must improve in that respect. Havard Nordtveit: It’s a shame I didn’t manage to score on my 100th appearance in the Bundesliga - that would have been great. But the most important thing is that we got the three points. We didn’t start the second half very well but, ultimately, we showed our true qualities. If we’re fully focused, we know we can beat any team. Mirko Boland: We were determined to get something today, but fell behind early on. We were a completely different team in the second half, but then we conceded the penalty. We won't let our heads drop and we will keep fighting. Deniz Dogan: We let Borussia play in the first half and weren’t really aggressive enough. It was difficult after they scored the third. In future, we shouldn’t show the opposition so much respect and play with more freedom.